A sunny cafe with nearby duty free shops in Pas de la Casa in the principality of Andorra in the Pyrenees mountains in Europe. 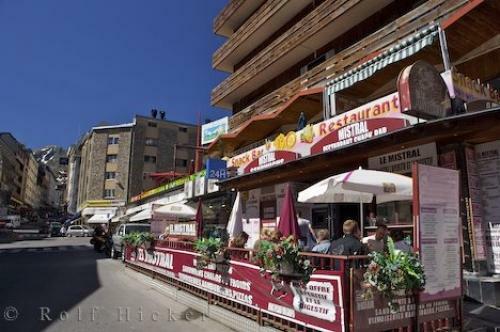 Photo of cafe and duty free shops in Pas de la Casa in Andorra in the Pyrenees mountains in Europe. ... Duty free shopping and cafes at Pas de la Casa, Principat d'Andorra, Principality of Andorra, Pyrenees, Europe.